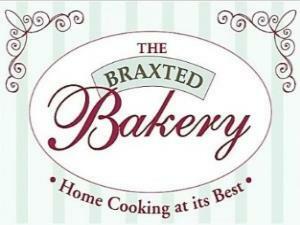 The Braxted bakery07740 117688work BakeryI have always had a keen interest in baking from a young age. I think it comes from being inspired by my mum, coming home from school on a Friday to the smell of freshly baked cakes and savouries ready for the weekend ahead. I like to cook wholesome, traditional food (who says simple can’t be special? ), food of a high quality using good quality ingredients, including free range eggs. Food should taste good without costing the earth. Our aim is to create a friendly welcoming place to visit, we hope you will like what you see and become a regular customer. I have always had a keen interest in baking from a young age. I think it comes from being inspired by my mum, coming home from school on a Friday to the smell of freshly baked cakes and savouries ready for the weekend ahead.